Sri Venkatalakshmi Spinners (P) Ltd. (SVS) was established in 1981 at Udumalpet, a textile town around 70 km. from Coimbatore. The company now focuses primarily on spinning Polyester/Cotton/Viscose(P/C/V) counts using RING AND VORTEX SPINNING technologies. We were one of the first entrants in the P/C segment in the south and are also a leading mill with a good brand name in this segment. At present we are spinning 45s to 60s fine and 2/80s to 2/100s superfine counts for apparel applications (combed and carded) in our ring spinning project. Most of our production is marketed in Bombay, Ichalkaranji and Ahmedabad. Our niche is in developing specialty applications in the P/C/V segments. The company has a total installed capacity of around 13,000 ring spinning spindles capable of producing fine quality P/C blended yarns for various segments and is expanding with 11 new Vortex Spinning Machines. Modern state of the art machineries are being installed in the mill through its continuous modernization programs to meet the stringent market requirements. The core strength of the mill is its excellent and well trained employee teams working in a systematic and a scientific manner in solving the problems. We are continuously striving to develop systems for all our activities. SVS is a customer centric company striving to achieve a 100% customer satisfaction in all aspects. Our teams adhere to a strict quality and customer satisfaction policy. We are among one of the few mills that are repeating high productivities at high quality levels every year. To be a successful company in terms of cost we have our own captive power generation through generators and a wind mill. We have just completed a new state-of-art vortex air-jet spinning plant for producing value added functional yarns for specialty applications like quick moisture absorbency, quick drying properties, low hairiness, low pilling and high wash fastness-resistance. 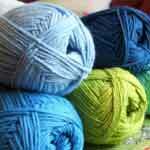 This particular yarn provides proven cost savings in terms of materials in sizing, weaving, processing and dyeing. The yarn quality levels in terms of Count CV (less than 1), IPI Values, Hairiness, Classimat , Dye Pick-up and C olor Strength values are exceptional . We strongly believe that the yarn will be of a real value proposition for all the down stream processors in the supply chain. We can supply both single and doubled yarn packages from count ranges Ne16s to Ne2/80s with any single or blended P/C/V raw materials and other specialty fibers. We are backed up by our machinery partners Murata Machinery Limited for spinning and also Trutzchler for all our preparatory machineries. Our new Vortex spinning plant is equipped with all online quality monitoring computers to identify and control quality during the spinning and drawing process itself. This results in a near to perfect quality yarn.